Located in the east of England, Norfolk is a county in East Anglia. With a population approaching 900,000, there’s a wide range of property across the county to suit all different kinds of tastes and budgets. At My Home Move Conveyancing we provide a specialist, fixed fee conveyancing service. We can help you find your perfect home in Norfolk, having developed our knowledge and expertise of property markets like this since 2001. When buying or selling property in Norfolk, you need to instruct property lawyers to carry out the legal work on your behalf. 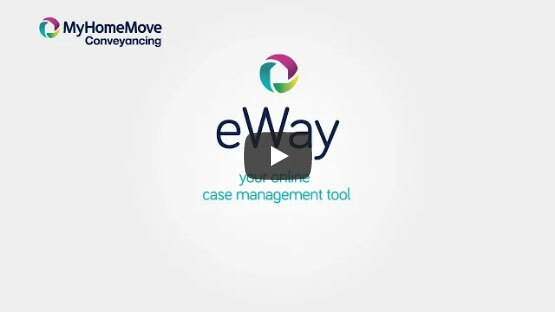 My Home Move Conveyancing offers our clients in Norfolk an award winning level of customer service, innovative use of technology and intimate knowledge of the local market. Our professional, friendly conveyancing service comes with no hidden extra costs to worry about, so you can budget for exactly how much you’re going to pay from the outset. Choose us as your Norfolk conveyancers, and take advantage of our ’no completion – no fee’ policy. We’ll assign you a dedicated conveyancer who’ll take care of all aspects of your case from start to finish. You’ll have a consistent point of contact, regular progress updates and online access to your account. At My Home Move Conveyancing we’re delighted to provide our conveyancing services in Norfolk to assist in the purchase of a variety of homes across the area, including in county town and only city Norwich, and spots such as Great Yarmouth, King’s Lynn, Thetford and Dereham. The average house price in Norfolk is £213,377, while the overall average sale price during the last 12 months was £229,429. During this period the majority of sales involved detached houses, which went for an average of £300,962, while terraces fetched £177,195 and semi-detached properties sold for £200,591. Norfolk is a place that’s been settled for a long time, including by the Iceni tribe in the first century BC. The Romans took over towards the end of the first century AD, and built an array of roads and ports, as well as developing the local agricultural trade. The county is famous for the Norfolk Broads, a network of rivers and lakes which spreads into Suffolk, and is popular for boating. Mostly a rural county, Norwich is the only city in Norfolk, while there are a number of good-sized towns as well as some seaside resorts such as Great Yarmouth. Due to its rural nature, there aren’t any motorways in Norfolk, with a network of A roads connecting different parts of the county. The A47, A140 and A1065 are among the main roads you can use to get around, while the A11 heads southwest from Norwich to Cambridge. The Great Eastern Main Line is the biggest railway line which connects Norfolk to London’s Liverpool Street station, while Norwich Airport offers international flights including to cities like Amsterdam which is great for picking up connecting flights. There’s a wide range of primary schools across the county, while at secondary level Norfolk has a completely comprehensive state education system. It’s quite rare to find sixth form colleges in rural areas, so it’s better to be in or near a larger town if you’re looking for further education. For higher education, the University of East Anglia is on the outskirts of Norwich, while the University of Suffolk has a campus in Great Yarmouth. All properties in Norfolk will fall within one of the following council tax bands.